THE HUNGER 2019 – Theme: Unseen: The Homeless, where are they? 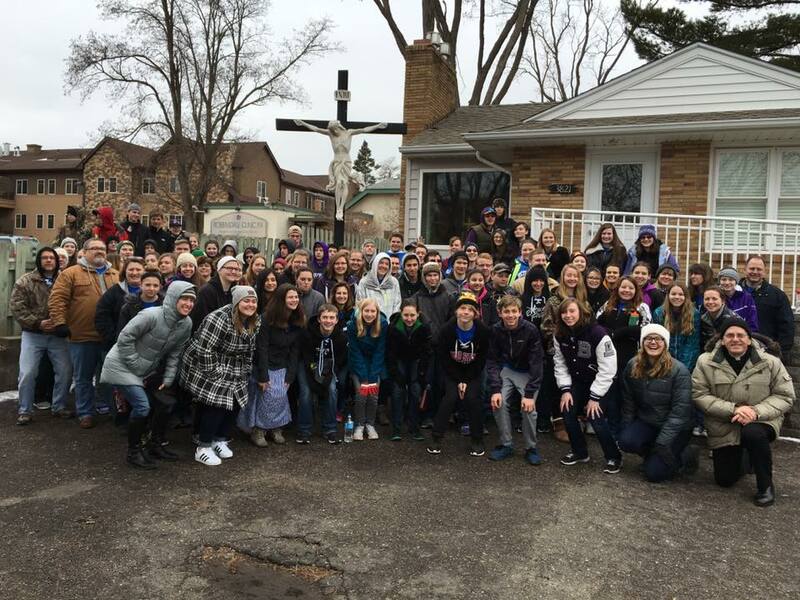 Do something Radical for Lent 2019 – Join us for the HUNGER! St. Francis Xavier is teaming up with St. Raphael, Sacred Heart and St. Bonaventure for the Hunger! In the last Twelve years this event has raised more than $85,000.00 for missions and ministries that serve the poor both at home and abroad. Adult Leaders – Sign up here! – We need adult chaperones to help transport youth to various service sites – Please consider helping out! Options for Women/Cornerstone is a nonprofit pregnancy medical center dedicated to providing compassionate, confidential, and free care to women facing an unexpected pregnancy. From pregnancy and STI testing, to limited obstetrical ultrasounds, to peer counseling and education classes– our nurses and client advocates are serious about giving women the best care possible. The Buffalo Food Shelf is a Christian, non-profit, community-based organization supplementing food and hygiene items to those in need within the community of Buffalo, Minnesota. Through ongoing generous donations, we continue to support an ever-growing number of families in need of hunger relief. It is through the city of Buffalo’s generosity and the grace of God that we can continue in our mission to feed the hungry in our community. Sharing and Caring Hands is dedicated to the proposition that the community can make a difference in the lives of others through volunteerism, donation and commitment, and that this can be accomplished without creating an expensive bureaucracy that saps the resources necessary to carry out its vision and achieve its goals.